Welcome to the resource center for the AD9467 FMC Card! The new AD9467 FMC board allows users to rapidly prototype and verify system developments using Xilinx FPGA development boards equipped with an FMC header. 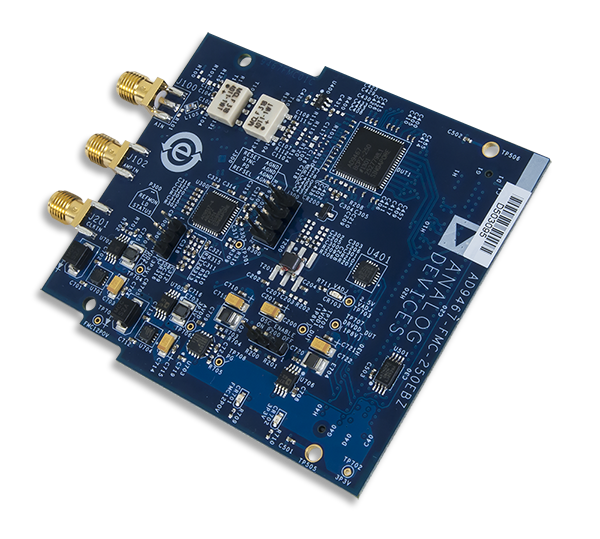 This card can help engineers de-risk the development cycle and accelerate time-to-market by providing production ready reference HDL code and software for use in end products.